As cute & adorable as puppies are, they don’t come pre-programmed with the rules of polite behavior for human society—peeing in the right places, chewing their own toys only, not using the needle sharp teeth on humans, coming when called, etc. Our unique home-based puppy board & train program teaches your pup the rules of modern family living. Board & Train is a unique approach to raising a puppy. Send your bundle of energy to live with our trainer during the week and enjoy a calmer, well behaved puppy. What do Puppy Board & Train/Day School programs cover? Between 3 and 12 weeks of age is the sweet spot for socializing a puppy. It means learning to be comfortable as a pet within human society — a society that includes many different types of people, environments, buildings, sights, noises, smells, animals and other dogs. 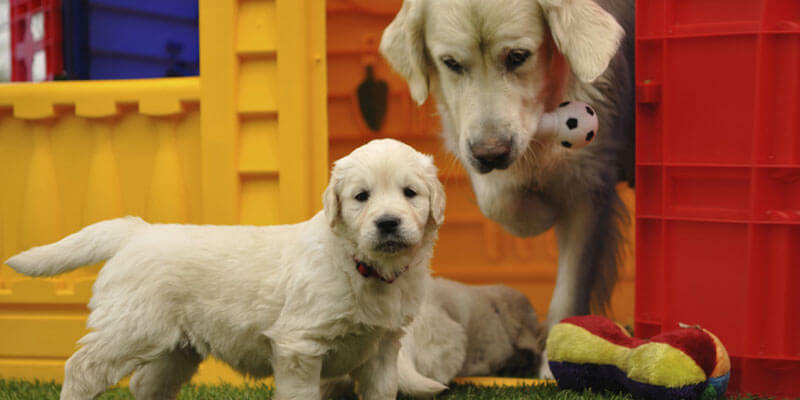 Click here to see what veterinarians have to say about early socialization and schooling for puppies. Our puppy Board & Train/Day School programs are designed to focus on puppy appropriate socialization, problem prevention, grooming and handling, and of course foundational manners. This involves multiple training sessions, field trips in a day combined with adequate play time, individualized care and attention and more. Appropriate Socialization: Safely and appropriately introduce different people, dogs, sounds, objects and more in a way that helps your puppy gain confidence and have fun. Prevention of Fear, Phobias and Aggression: Confidence building when alone (preventing separation anxiety), being comfortable in the crate, in different situations and other problem prevention exercises. Solutions to Common Puppy Problems: Barking, destructive chewing, play biting, house training, and other behaviors normal for puppies. Body Handling and Grooming: Teach the puppy to be comfortable being groomed, handled, and restrained — all of which are extremely important for vet visits and day-to-day hygiene. Settle Calmly: While I make or eat dinner at home, outdoor restaurants, or public places. Impulse Control: Settle down calmly, Greet people politely. Additional weeks may be required depending on some habits your dog may have developed that need a longer time to be replaced with new behaviors. Additional days may be required depending on some habits your dog may have developed that need a longer time to be replaced with new behaviors. Why should I send my puppy for Board & Train or Day School? We understand life and it’s challenges — between work, school, kids, homework, family, friends, and other commitment, it’s hard to find time to learn to train a puppy. Our certified, experienced trainer will help you make the best of your puppy’s critical learning time (3 to 12 weeks) and spend dedicated time with your puppy to get the training results for you in a fraction of the time and will provide continued help and support for stronger, lasting results. You wouldn’t hire a lawyer to learn to argue your case and neither would you hire a mechanic to learn to fix your car’s engine. Why hire a trainer to learn how to train your puppy? Leave it to a certified professional to assist you in achieving your doggie-goals, while you focus on other critical things in your life. Does this guarantee a well-adjusted dog for the rest of it’s life? Ah! We’re so glad you asked this question.There cannot be any guarantee’s when it comes to behavior. Behavior issues are a result of genetics and/or a bad, traumatic, learned experience, especially if it happens during puppyhood. What we can guarantee is a jumpstart to the best possible education he can get, to reach his full potential – and safe, effective and early socialization is the key to this. This means any situation you’d like your puppy to happily accept as an adult – including interacting with people, places, animals, obstacles, sounds and objects — you must introduce to him frequently and positively before he reaches four months of age. Your puppy is likely to regress if we don’t maintain his learning. Think of this like: Learning numbers in school doesn’t guarantee you will be able to solve complex mathematical problems with ease, but it sure gives you a foundation you can build on. It takes time and practice. Training is a process. It’s important to continue to build the behaviors your puppy learns. Why Board & Train with us ? Not sure you want to send your puppy for Board & Train? Who wouldn’t love coming home to a tired and calm puppy, after a long day at work, with dinner and kid’s homework still on their evening checklist? 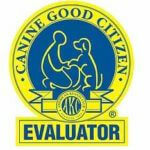 Looking for Adult Dog Board & Train/Day School? Yes, we specialize in that, too. It’s A unique approach to help busy Silicon Valley families. Start with a 90-minute consult so we can understand your goals, assess your puppy, and discuss if Board & Train/Day School is the right program for you. We prioritize your dog’s emotional well being over anything else. We will recommend alternate training programs that will work best for your dog. Depending on the package, your puppy will then, stay at the trainer’s home or come for Day School to learn the rules of your home. Daily or Weekly transfer lessons depending on the package. It’s easy for the puppy to go back to his old ways without proper reinforcement and management. 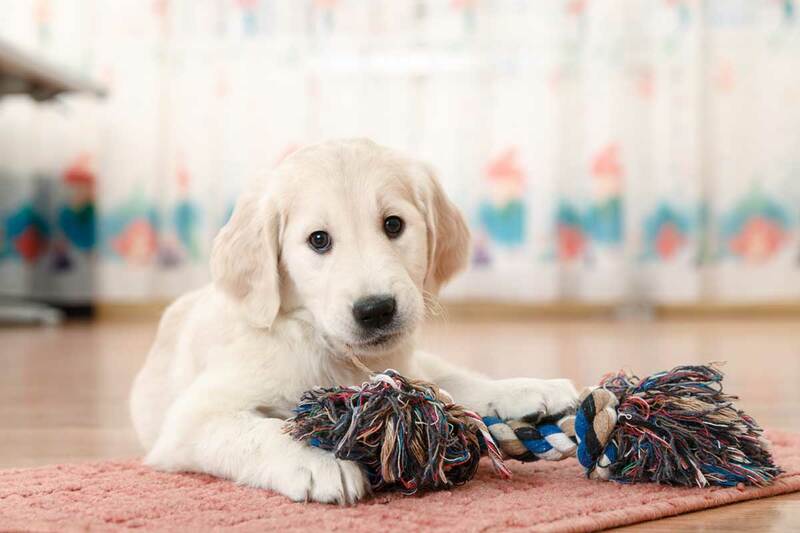 We understand the challenges of juggling work and life, and will help you sustain your puppy’s newly acquired behaviors through continued lessons and support. Four sessions to help you maintain your puppy’s new learning.